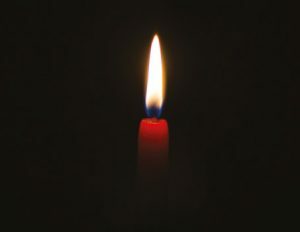 Every year the Holocaust Memorial Trust reminds all of us, old and young, of the horrific events perpetrated by the Nazis, as well as subsequent genocides and urges us to never again allow hatred to overpower love. The 2018 Holocaust Memorial Day is on 27th January and the theme is “The Power of Words”, hence the quote from Anne Frank above – an example of words being used for good. However, words can equally be used to hurt or humiliate, and this is where the link between the Holocaust and bullying has been made. This is an interesting and different way to address bullying, which might just gain the imagination of young people in your Company, rather than the usual talks and discussions. And by doing this you’ll be playing your part in supporting the United Nations which has pressed member states to develop programmes and activities that instil the memory of the Holocaust in the minds of young people and urges them to do their part to ensure we learn from such atrocities. There are lots of ideas for activities for BB Leaders on the website of the Holocaust Memorial Day Trust, so you have plenty of time to download the free Activity Pack at hmd.org.uk/content/order-or-download-activity-pack. You can also order booklets, stickers and badges free of charge when you order the pack. Take a look at the resources including Life Stories which could help you lead into a discussion with your young people. Let us know if you’re planning something to mark Holocaust Memorial Day on 27th January 2018 and, afterwards, how your young people reacted.